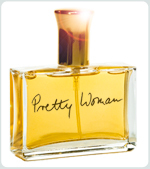 Barbara Orbison Introduces Pretty Woman Perfume To Celebrate the Pretty in Every Woman. 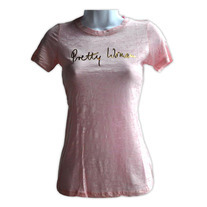 “Pretty Woman” immediately arouses warm, upbeat feelings, bringing to mind that iconic Roy Orbison song and conjuring up images of that favorite fairytale movie. And now, the power of that name will translate to an enchanting new fragrance from Roy Orbison’s wife Barbara. Like the notes of a song, the notes of Pretty Woman Perfume open to reveal a delightful melody of florals, spices and woods. It is a complex blend of hundreds of individual floral and spicy notes. Its crisp, luminous bergamot top note evolves to reveal a full, vivacious middle note accord of stargazer lily, red rose and carnation. The fragrance’s base note accord of fresh amber, patchouli, vanilla, atlas cedar and sacred incense combine with a lingering everlasting warmth and harmony. Barbara has been involved in every step of the development from conception to launch. She worked closely with perfumers to formulate the exact scent she desired. She selected the bottle from prestigious fashion houses in Paris and worked closely with the graphic designers to craft a package and label that reflects the pure, elegant essence of the fragrance. Copyright © 2019 Pretty Woman Perfume. All Rights Reserved. The Arcade Basic Theme by prettywomanperfume.com.